After 45 minutes on the phone with a travel agent, I’ve grown too frustrated with trying to figure out different alternatives for an international flight to the Maldives that stops in Paris on the way back. Within seconds, I’m compelled to pick up my mobile phone where Skyscanner and Kayak can help me much more efficiently. Tired and hungry, I find the refrigerator is empty. When I call in my order to my favorite Italian restaurant, the representative on the line doesn’t recognize me and asks how she can help me. Yet, it’s so obvious why I’m calling. Then she asks me for my phone number and address, and has no record of what I typically order when I call in for food delivery two to three times a week. The truth is that Latin America is extremely inefficient and its technology is behind North America. 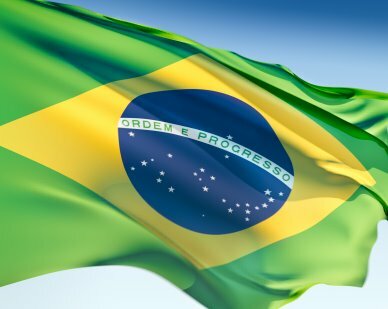 Yet, in Brazil, one of the world’s largest economies despite the current crisis, e-commerce sales are expected to reach more than $22 billion this year (up more than 13 percent over 2015), and m-commerce in Brazil continues to rise at a fast pace, according to recent data from eMarketer. The mobile market opportunity is massive: more than 100 million people in Brazil are already online today, and there are nearly another 100 million more to go. There are numerous daily tasks that can be solved with ease in the U.S. In comparison, the lack of training, standardization and process in Brazil creates chronic inefficiencies in the service sector that push consumers to prefer and use mobile applications that provide everyday services in a standardized manner. In many cases, the experiences between online and offline service in the U.S. can be marginal. However, in Latin America it can be a significant and annoying difference. When you try to buy auto insurance with a broker by telephone, for example, the time you can expect to waste is much higher in Latin America. The lack of visibility into your options is huge. The bureaucracy in terms of the number of necessary documents and data required is exponentially higher. After headache-causing calls, the chances of getting only one quote without a comparison are big. The broker will likely just push their favorite insurance company. There are now nearly one million “motoboys” in Brazil, and more than 200,000 of them work in the city of Sao Paulo alone. To make this fleet more efficient, motoboy hailing apps such as Rapiddo and Loggi are growing fast. On-demand pickup and delivery of laundry is another fast-growing O2O commerce service offering in big cities. Based on subscription fees, on-demand laundry operators are becoming an important service for the always-busy, always-late “Paulistas” (those born in Sao Paulo). ALavadeira is one example of a stand-out company in this new laundry service segment. With unemployment reaching a record high in Brazil, DogHero, which is similar to DogVacay or Rover, is having no problem finding new hosts for its popular pet-sitting platform. Whoever loves dogs with available time can apply to become a DogHero host for “man’s best friends.” In Brazil’s larger cities, there is a huge shortage of hotels for dogs or kennels, making it difficult for dog owners to travel because they have no one to take care of their pets while they’re away. In addition to new consumer offerings, the O2O commerce trend is helping reduce bureaucracy for small business owners. A new phenomenon is occurring in Brazil in response to the high unemployment rate: the number of individual micro-entrepreneurs (MEIs) are skyrocketing. More than 5.5 million of them now operate in Brazil. They offer a variety of services and goods from plumbing to manicures. In response, a government program was introduced at the end of 2009 to track and formalize them as business owners and to collect taxes. Prior to that, the MEIs never paid taxes or social security before. To help them navigate though it, Qipu is a new mobile app and service that helps MEIs manage taxes and finances. It also controls and automates access to social benefits. Qipu has grown fast with more than 200,000 active users. he second is we’ll probably see new models in Brazil that didn’t necessarily work as well in the U.S. Imagine a model like the instacart, in which you can use a mobile app to make grocery shopping that’s delivered to your place in just a few hours. When you analyze the unit economics, Brazil could actually be an even better market than the U.S. for new on-demand businesses. 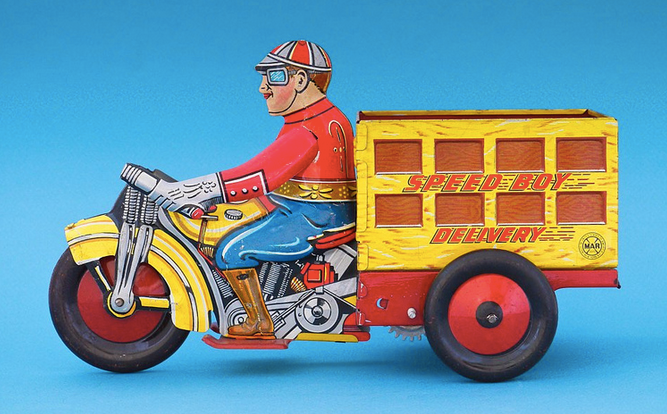 Delivery person salaries, for example, are much lower in Brazil. There are fewer comparable services for the Brazilian to choose from, which provides an advantage for early-mover brands. Plus, the Brazilian consumer would likely have to travel more kilometers to find the products, most likely through heavy traffic or using poor public transport in large cities. For these reasons in particular, a Brazilian is even more likely to pick up a cell phone and request through a mobile app for a bicycle deliveryman do this work instead. It wouldn’t be the first time that a model that did not work as well in the U.S. would work here. This happened in comparison e-commerce, for example, Buscapé for many years represented a large share of the domestic e-commerce. And the price-comparison model has never been more relevant in any other e-commerce market than Brazil. Thus, new eServices led my mobile innovation and rapid consumer adoption will fuel a growing on-demand economy in Brazil and Latin America through increased consumer convenience, the third most important vector driving consumer purchases after selection and price, by creating more efficiencies and less work. For this reason, I predict that innovative startups and larger companies that see the potential of solving inefficiencies will push growth of more than 50 percent year-over-year, even despite the current economic crisis in Brazil. This growth rate is already occurring today with iFood for food, MinutoSeguros for insurance, ViajaNet for airline tickets, Nubank with credit cards, to name a few examples of which I am very familiar with today. But be sure: the eServices revolution is coming soon for your plumber, your babysitter and your bank manager. Disclosure: Of the 22 Latin American companies mentioned in article, three of them (Magnetis, MinutoSeguros and ViajaNet) have received investments from Redpoint eventures, where Rodrigues is a partner and managing director. He’s served as a board member, or is currently an advisor, shareholder or personal investor in six of the other companies (Buscape, Cheftime, iFood, Qipu, Rapiddo and Truckpad).